Gary Korolev has used his 15 years of experience as a Wealth Manager with firms such as Morgan Stanley, Merrill Lynch and Charles Schwab to build a comprehensive Wealth Advisory practice centered around meeting clients’ Investment Management, Risk Management, Estate Planning and Retirement Planning needs. His practice focuses on High Net Worth individuals, families and business owners with financial needs far beyond investment management. 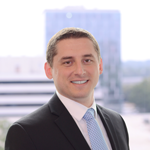 He has a Bachelor’s Degree in Finance from the University of Florida, is a Chartered Financial Analyst and holds the General Securities (Series 7), Securities Licensing (Series 66), as well the Life, Health and Variable Annuity licenses.